Ah yes, the list. 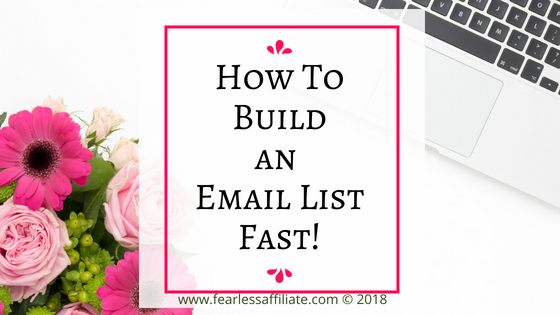 Today, let us look at how to build an email list fast. If you want your list to grow, you have to make it a priority and the sooner you start, the sooner you will know what works for you, and more importantly, what does not. We have all heard that the LIST IS KING! Your subscribers belong to you. Social media may come and go, but your list is yours forever. 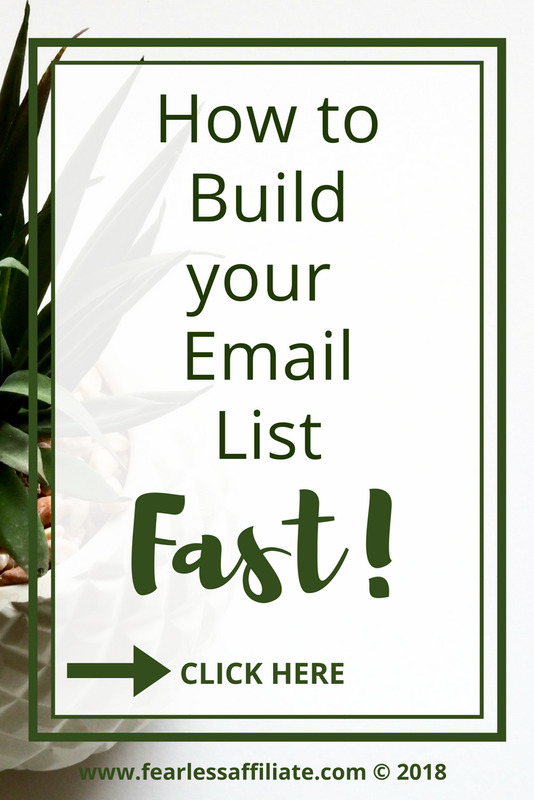 An important goal for serious affiliate marketers is to have an expanding email list. If you want to earn money from ads on your site, you need visitors giving you page views. 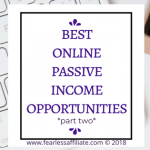 Ad money is just the first stop on the passive income train. Creating and promoting your own products is where your real destination is. Pin it! 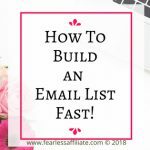 How to build your Email List fast! 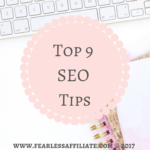 If your goal is to earn an income to replace the money you earn at your 9-to-5, then traffic is the way to go, and it is so much easier to start right away, especially if your blog is new(er). 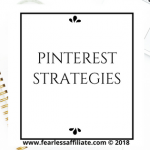 There is tons of information on the internet about getting more traffic, but not all strategies will work for all websites, so before you pay for a traffic course, try a couple of things from my post today and see what “sticks”. Trial, meet error. I joke, but feedback is important in blogging, and the sound of crickets in any one area means that it is time to up the game! Amiright? Are you with me?? Yay! How about that theme of yours? 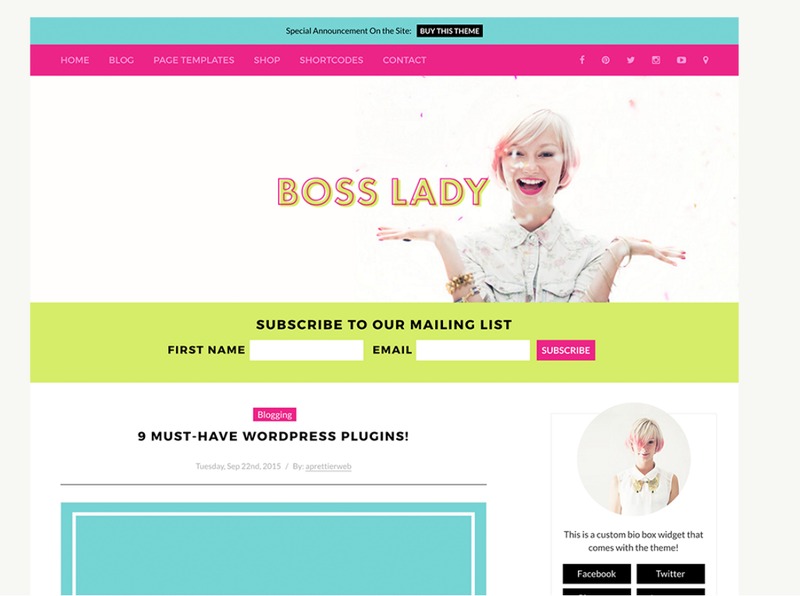 My theme is Boss Lady by A Prettier Web, and it was only $50. It comes with a child theme which you can edit so that when the theme is updated you do not lose your customization. You can put a custom opt-in form in the header and the footer on every page and post, and you can make the forms different from each other, giving you an opportunity to split test! But the best part is that it has a custom announcement bar at the top. If you create a freebie, you can make a link from the announcement bar to a landing page to capture visitors for your opt-ins! The added benefit of this is that you can eliminate a bunch of plugins by using theme with these types of options built in! Plus it looks awesome on mobile. Win-win! 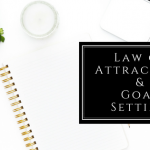 Ideally, if you do not have a theme that lets you put an opt-in form right in the header area, then you are going to have to go for the sidebar as well as inserting opt-in forms within your blog posts. However, people on mobile will not see your sidebar, so you need something for them if your home page is a blog roll and does not have a post with an opt-in. Get yourself a plugin for a welcome mat or pop-up. Personally, I do not like pop-ups especially when they pop up instantly when I arrive. How do I know if I want to sign up for your newsletter when I do not even get a chance to see what you are offering before being blasted with a big ole box? Find a pop-up that allows you to customize when it pops. Set it for 45 seconds after someone lands or when they get near the bottom of the blog post or are about to click away. In theory, if someone is on your site for 45 seconds, they are likely looking around and if they like what they see they are a good candidate for an opt-in opportunity. Make sure that yours is optimized for mobile users. You will have to try some out to see what you like. Give each one a few weeks and see if it helps, but I would wait until you give your opt-in form a chance first. In the footer. Some people do scroll right to the bottom, so invite them in as well! In your navigation menu – a “subscribe” tab or “proven tips”. Link to a landing page opt-in form. In the sidebar if you do not have one in the header/footer. At the top, so visitors see it right away. You want to make it extremely easy for people to sign up, so your opt-ins should be everywhere! Be wary of opt-in form placement with the rest of your website. If your blog is new(er) and you still have tons of stuff from your theme in the sidebars (categories anyone? ), this is good time to spring clean. New-ish blogs do not need “recent posts”, “archives”, “categories” or that other stuff that shows visitors that you are new to the scene. Make room for items that help you to market your awesome newsletter! Save your prime website real estate for important stuff like an About Me widget, social media links, and your opt-in form and put that opt-in form at the top. Give your readers some information on who you are, and what you are about, and how you can help them as well as inviting them to stay awhile and look around! There are a lot of choices for these but they do not all work for everyone, so the sooner you start trying some out, the sooner you will discover what resonates for your tribe. A Resource Library that contains other free printable or sheets. You want your content upgrade to be highly relevant. There has to be a perception of value that encourages people to sign up. People will not sign up for a free item if it does not answer a question that they have or a problem that they struggle with. GDPR rules say that you must be clear about what you are offering and that you cannot make signing up mandatory to get a free item. You can offer it as a bonus for sign up. Choose one or two, create the opt-in forms and give them a few weeks to work. If you do not see any action, try split testing that opt-in by changing up the wording of the offer first, and then maybe changing the colors. If you are using opt-in forms through your email service provider, you can easily see if people are clicking but not clicking through. A great starting point is to have a basic opt-in form that offers your newsletter and exclusive content. Then create an opt-in that is specific to a blog post, like a cheat sheet that goes hand in hand with the post. If you are offering a free course, they pretty much have to sign up to get access, just be clear that they are getting the course and your newsletter comes with it. You can also include useful free printable items that are included with the course as extra incentive. 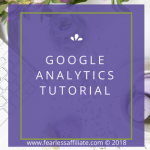 If you are not sure about what to create for a freebie, head over to your Google Analytics and go to Behaviour > Site Content > All Pages and set the date range for the past 3 months. Look for your top 5 posts. Go through the list of potential incentives and brainstorm a free item that you can use to entice readers to sign up. Embed a form with a thumbnail of the freebie into the blog post. Also be discriminating with which posts that you do this with. You want a post that aligns with what you are actively promoting on your site and you want traffic that is interested in that type of content. This is important if your website has been evolving from one main niche topic to another. These things happen. So choose which topic is the one that you want to gain traffic from and use a popular post from there. Creating content upgrades/incentives takes some time. If you cannot put that time in, then create a nice opt-in to your newsletter and place the code within your most popular blog posts until you can do more. FYI: If your content upgrade does not work out, DO NOT DELETE IT. You can repurpose your cheat sheets and printable items into an e-book later on! The idea here is to not only attract subscribers but to keep them and hopefully have these loyal subscribers share your content. Your newsletter is the best place to share stories that show your humanity; how you get your brainstorms, or what motivated you to do something risky that resulted in something amazing. You can share links to other websites with great, useful content that is not in your niche but is helpful to your audience. Or share links to free workshops on topics that you have blogged about but are not an expert (yet!). 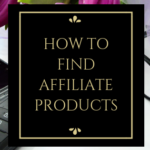 You can share links to affiliate products that you think your readers might find helpful. You can share struggles, and ask for feedback on what they want to read. Get real and get personal (within reason) and start a dialogue. Yes, the number one hands-down way to increase traffic is SEO. SEO is what will bring traffic in on a steady basis over the long term, and we all want this. 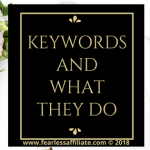 You also want to practice the proper use of keywords and avoid stuffing them into every sentence. Most bloggers can write a blog post and the keywords happen naturally. Just be sure to have them in the title of the post, and within the first paragraph and wherever they should be within the context of the post. While we are on the subject, go back to your old posts and update anything that needs it in regards to SEO. You can do this anytime that you learn something that you may have missed when you first started your website. I just finished reading one book on SEO and I am currently reading another. I will keep you posted! DO NOT REPUBLISH!! My mistake last year was to delete a post and start over. I lost the comments and that was a huge mistake and some very bad advice. You can go in and tidy up, fix your grammar, change or update information, and add or delete photos/media and just hit the “update” button. Google does not mind, and actually encourages updating of posts with newer, more relevant content. You do not have to but you can also go to Google Search Console and get the bots to re-crawl that post after you are done (if you made a lot of changes). Grab social sharing plugin and go ahead and say yes to show the number of shares that the post has. I am using Sassy Social Share on my WordPress website. You can change the button shapes and it transferred all my social shares over when I switched from another plugin. On some of your posts, those numbers will not go up by much, and that is okay. We all have posts like that. On some of your other posts, you will see the numbers go up and up and up. Those are posts that you want to consider offering a content upgrade for. Think about it. 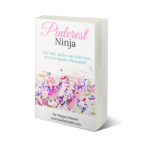 Make it easy for people to save your posts to Pinterest or to visit you on Facebook. You can follow me on Pinterest. And, go to Facebook, Twitter, Google+, Pinterest and any other platform that you can share your posts making sure to give your readers plenty of ways to sign up for your newsletter and bonuses. If you are not getting visitors after all of this, then you will have to put more time in on promotion. 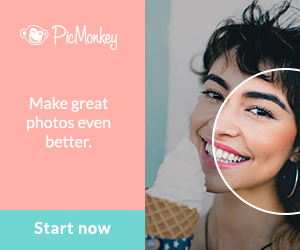 Get your brand and your bio photo out there and market them! When I first tried email marketing, I went with MailChimp. There were some videos and blog posts on setting it up, but not much about what to do with it after. 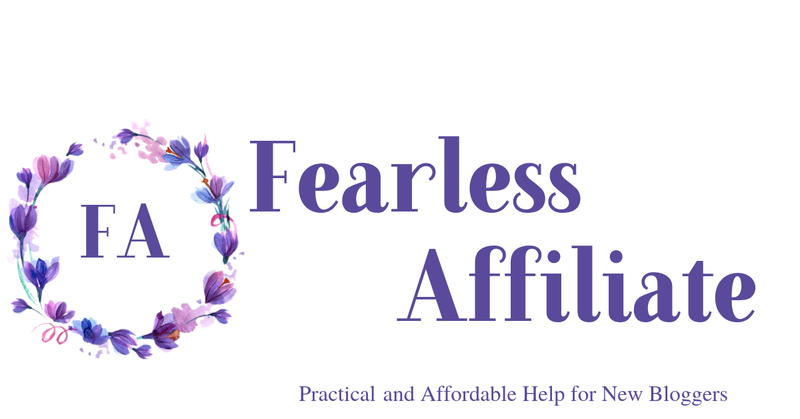 I have been reading books, watching videos, and taking courses to learn about list building and marketing my website. One thing that I have learned is that there is no one-size-fits-all solution. Like everything else in blogging, there is trial and error. I do suggest that you try some stuff on your own, and after reading some free tips on the internet, before you sign up for expensive courses. Or grab a bundle of stuff and take expensive courses for way less money. Your choice. Ultimate Bundles Work at Home Bundle is still on sale, and you can get Cloris Kylie’s Lead Generation Academy course (a $297 value) for less than 50 bucks. This course is big. I mean lot’s of homework and thinking big. I am not finished it yet, but it is pretty detailed about marketing your business. You will find what works for you and your website, if you keep at it. Blogging is work, no doubt about that. For me, it is the most enjoyable work that I have ever done. It is also the most frustrating. But I love it! I am learning more about who I am and my ability to problem solve…daily. I am still reading books and watching videos on list building, and as I garner some aha moments, I will share them with you! This was a really informative article. I am glad I came to your website. It was very helpful. Lots of great tips. I was thinking about creating an ebook few days ago. After reading your post. It motivated me even more. I will have to get started on that. Thank you for the information. I also subscribed. I am looking forward to your next article. Thank you. Hello Hong and welcome to our website! Thank you for your very kind words and I wish you the best of luck! You will never regret getting started with email marketing as soon as possible! Ok, this was a really great post and I am glad I ran across it. I hadn’t put much thought into an email list. I really didn’t even know where to begin. I have an email sign up form on my site, but have done absolutely nothing with it. I just wasn’t sure what to offer in a newsletter. Yet, I read this post and now I have some really great ideas. Thank you so much! You are welcome and I hope that you find much success with it!! Irma, thank you for taking the time to share your knowledge and experience with us new bloggers. I have found this article to be extremely informative and have already passed it on. I will return to it, to keep myself updated as I progress through my stages of learning. Hello Rachel and thank you for visiting us today! Very useful. I love to learn about every kind of digital marketing. Thank you for visiting us today Michal! Thanks for the suggestions on what to offer people who sign up for emails. I have 2 websites and 0 subscribers! I need to offer something, but I don’t know what and I don’t want to spend a lot of time creating something. You have good suggestions, but I still am not sure what to offer. Hello Sandra and thank you for visiting us today! 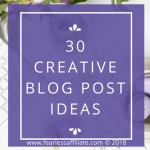 If you have several posts already published on one topic, you can bundle them and create an ebook. Or even several ebooks. You can put together a really nice ebook in Canva for free. If you keep the pages mostly text, it is easier for people to print off without using a ton of ink. I have seen plenty of freebies that are only one page checklists or guides. If you want to do that, just recommend your favorite items or a “how to shop/buy” type of guide. If you do not have time right now, just re-do your opt-in box with a more enticing call to action i.e Yes! I want in!. Be sure to say that they will get exclusive content as well. This is very informative and useful article. I still haven’t created an e-book for opt-in that I intended to and now I see your idea about email course and email challenge. That sounds even better than an ebook and it’s something to think about. Thanks for a great read and keep up a good work on your site. Cheers! Hello Blanka and thank you for visiting us today! Yes, I never thought about that one either, but now I cannot stop thinking about it and I am working on a course as well. Best of luck to you!